Lee deBoer is a media veteran with broad experience in television, cable, and new media with a unique focus on developing new products and brands. From 1976 to 1995, he served at Time-Warner’s Home Box Office, where he was one of the principal architects of the company’s expansion and growth. DeBoer was responsible for the development and launch of Cinemax, The Comedy Channel/Comedy Central, HBO Multiplex, HBO Ole, HBO Hungary, and HBO Asia. He managed many key operational areas including scheduling, on-air promotion, research, new media, HBO Enterprises, and HBO International. He was Executive Vice President, HBO; President, HBO International and also President of TimeWarner International Broadcasting, before he established Media Futures, a multi-media consultancy in 1995. In 1997, deBoer was recruited to be the CEO of New Century Network, the venture established by the nine largest newspaper companies to build a national network on the Internet. He also served as CEO of Automatic Media, an Internet media and software company. In 2002, he co-founded Propeller Partners, a New York-based media advisory practice. From 2005 to 2007, he served as Chairman of Life Balance Media. From October 2008 through December 2010, he also served as Chairman, Americas for Digital Rights Group, a London-based worldwide television distribution company. 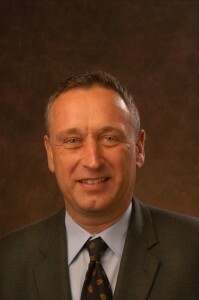 He has served on a number of company boards. 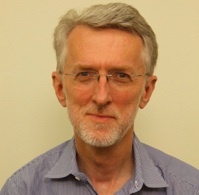 Jeff Jarvis, a national leader in the development of online news, blogging, the investigation of new business models for news, and the teaching of entrepreneurial journalism, writes an influential blog, Buzzmachine.com. He is author of the books What Would Google Do? and Public Parts: How Sharing in the Digital Age Improves the Way We Work and Live as well as the e-book Gutenberg the Geek. He has also consulted for media companies including the Guardian, Digital First Media, Postmedia, Sky.com, Burda, Advance Publications, and The New York Times company at About.com. Prior to coming to CUNY, Jarvis was president of Advance.net, the online arm of Advance Publications, which includes Condé Nast magazines and newspapers across America. He was the creator and founding managing editor of Entertainment Weekly magazine and has worked as a columnist, associate publisher, editor, and writer for a number of publications, including TV Guide, People, the San Francisco Examiner, the Chicago Tribune, and the New York Daily News. His freelance articles have appeared in newspapers and magazines across the country, including the Guardian, The New York Times, the New York Post, The Nation, Rolling Stone, and BusinessWeek. Jarvis holds a B.S.J. from Northwestern University’s Medill School of Journalism. He was named one of the 100 most influential media leaders by the World Economic Forum at Davos. Carl Lavin is a journalist and content strategist with deep experience at digital startups and at the most respected news companies. Since March 2012, he has been the the lead homepage editor for CNN.com. Lavin directs the team of writers, editors and producers responsible for the most popular news page on the internet. Based in CNN’s world headquarters in Atlanta, Lavin reports to Meredith Artley, vice president and managing editor of CNN.com. Before joining CNN in 2012, Lavin worked for two decades as an editor at The New York Times, where he edited Pulitzer-prize winning coverage and served as Washington news editor for the Clinton impeachment and the 9/11 attacks. He went on to hold senior management positions at The Philadelphia Inquirer and Forbes and provide content, social media and strategic consulting to start-up ventures in digital journalism, health information and e-commerce. Lavin earned a biology degree from the University of Chicago. Bill Richter is a Silicon Valley attorney and the founder of Richter Law Offices. RLO is a solo corporate law practice dedicated to meeting the corporate law and transactional needs of entrepreneurs who are serious about creating shareholder value, relentless in their technology and market focus and committed to best governance practices. Prior to launching RLO in 2002, Richter was a senior associate working with John Goodrich at Wilson Sonsini Goodrich & Rosati (Palo Alto), and he started his law career at Shearman & Sterling (NYC). Richter holds a B.A. from Yale College, an A.M. from Harvard and earned his J.D. from New York University School of Law. Richter has served as CHC’s legal counsel since its inception and is a member of the California and New York Bars. Richter is a current board member and the immediate past president of the board of directors of Shakespeare Santa Cruz, a nationally recognized professional theater company in residence at the University of California, Santa Cruz. Stefanie Syman, principal, startups, Spark No. 9 LLC. Stefanie Syman is a serial entrepreneur who is a leader in developing product strategies, translating business plans into companies, and helping organizations big and small intelligently deploy the latest digital tools. Before joining Spark No. 9, she was head of strategy and business development at Atavist, a media and software company at the forefront of digital, mobile publishing. She is a writer, editor, and entrepreneur with deep experience in the world of digital publishing. In 1995, she was the co-founder and founding editor of FEED, an award-winning Web magazine. In 2000, she was part of the creative team that founded Plastic.com, a content and community site focused on pop culture. In 2005, as editorial director, she helped launch lime.com, a site focused on healthy living and sustainability. She is the author of The Subtle Body (Farrar, Straus and Giroux, 2010), the surprising story of yoga’s transformation from a centuries-old spiritual discipline to a multibillion-dollar American industry. Her work has also appeared in The Wall Street Journal, Rolling Stone, and Vogue.